The symptoms of adrenal fatigue. Looking for a brownie recipe that doesn't break your diet? 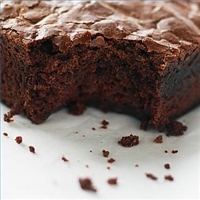 Try Daisy's delicious yeast-free brownies! Why has hypothyroidism become more prevalent in recent years? Could Hypothyroidism Be Your REAL Diagnosis? Have you been diagnosed with fibromyalgia, chronic fatigue syndrome, irritable bowel syndrome (IBS), depression, high cholesterol, heart disease, infertility, or Type 2 Diabetes? Could the underlyig cause for these diagnoses be hypothryoidism? We must continue to question until we find the underyling cause of our medicial condition. Are you looking for a natural solution for adrenal fatigue? Give the gift of health for Christmas! Recipes shared from the Hotze staff. Looking for grass fed beef? A food guide to put you on a path to health and wellness.